When The Mod Squad premiered in September of 1968, it was the height of the psychedelic ‘60s and young people were warned by their peers not to trust anyone over 30. The series was in tune with the times as it featured three young undercover cops. They were hip. They were cool. They wore great shades. What a trio! 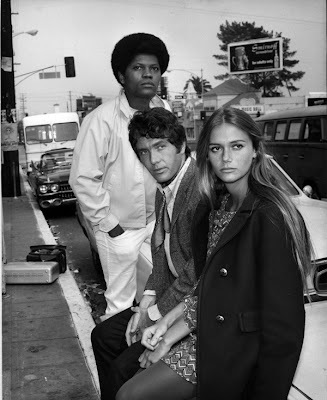 The police drama starred Michael Cole as Pete Cochran, Peggy Lipton as Julie Barnes and Clarence Williams III as Lincoln Hayes. Tige Andrews played their boss, Captain Adam Greer. Greer recruited the three cool cats for a special “youth squad” to infiltrate the counterculture and bring to the surface adult criminals who took advantage of vulnerable youth in Southern California. They agreed to become crime fighters in order to avoid going to prison themselves. The show's promotional line described the trio as "One White, One Black, One Blonde." Although Pete, Linc and Julie had all had brushes with the law and were under probation, each came from different social and economic backgrounds. Pete was the son of wealthy Beverly Hills denizens. He had been thrown out of their home for stealing a car. Lincoln Hayes was the product of a poor black ghetto home. He had been arrested during the Watts riots. The female of the group, Julie Barnes was the daughter of a homeless prostitute. The Mod Squad was based on the real-life experiences of its creator, Bud Ruskin. 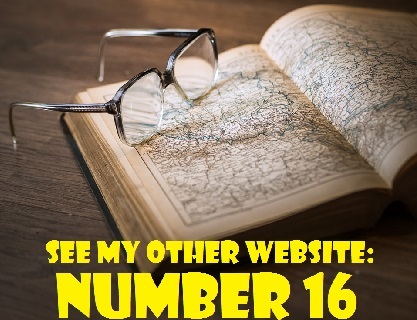 Ruskin was a former police officer who later became a private detective. During his service with the Los Angeles Sheriffs department in the 1950s, he became part of an undercover narcotics squad comprised of young people. Although Ruskin composed the pilot script for The Mod Squad in 1960, it took eight years before the ABC network put it on the air. The delay proved fortunate because the series was more successful in 1968 than it probably would have been during the pre-hippie Kennedy era. Produced by Aaron Spelling and Danny Thomas, The Mod Squad resonated with the Woodstock generation. Using expressions such as “dig it” and “solid,” the crime fighting trio displayed enough anti-establishment defiance and trendiness to attract an angry young audience. Parents approved of the show too, because the three hip undercover cops were actually the good guys. After five years and 123 episodes, The Mod Squad ended its run in 1973. Tige Andrews reprised his role as Adam Greer the 1979 television movie The Return of Mod Squad. His final screen appearance was in a 1991 episode of Murder She Wrote titled "Family Doctor." The cast of the series reunited for a 1979 television movie called Return of Mod Squad. The premise of the movie was that the three hip cops joined forces after a seven year absence in order to identify someone who was threatening Captain Adam Greer. WHAT HAPPENED TO THE CAST OF THE MOD SQUAD? Michael Cole, born July 3, 1945 in Madison, Wisconsin, is now 65 years old. Since 1961, he has appeared in numerous films and television shows. After guest shots on such series as Gunsmoke and Run for Your Life, he landed the role of Pete Cochran on The Mod Squad. It was a role that Cole did not want to take on initially. He told Aaron Spelling that “a show about kids ratting on their own buddies was the dumbest thing I’d ever heard.” He said he wouldn’t do it, but he did. After The Mod Squad ended its run in 1973, Michael just drifted. He appeared in some television movies and in episodes of The Love Boat and Fantasy Island. He also did some stage work with touring theatre productions. By the mid-1980s, his personal life was in tatters and he was drinking excessively. He had two failed marriages and three children. In 1987, Cole secluded himself in a cabin in the Santa Monica Mountains. He said he was “hiding and at the same time looking for myself.” It took him some time for Michael to pull himself together. He was still living in the mountain cabin in 1989 when he met Shelley Funes, a divorced sales-ad representative for Rolling Stone magazine, at a Malibu restaurant. They married in 1996. In 1994, at Shelley’s urging, Cole entered the Betty Ford Clinic to deal with his drinking problem. Michael Cole remains active in various television and film projects. In a 2006 episode of ER called “Reason to Believe,” Michael played the role of Charles Hadley. In 2007, he appeared in the movie thriller Mr. Brooks as the lawyer for “Atwood,” a character portrayed by Demi Moore. * In 1991, Michael played the role of Harlan Barrett on the ABC soap General Hospital. * He once dated Deana Martin, the daughter of Dean Martin. * He owned a metallic silver Porsche. To watch a Michael Cole acting reel, click on the link below. Clarence Williams III played Lincoln B. Hayes, the dour guy with the huge Afro and dark sunglasses. Born in New York City on August 21, 1939, Williams is now 71 years old. Clarence began his career on the stage. He was nominated for Broadway’s Tony Award in 1965 as Best Supporting or Featured Actor (Dramatic) for his performance in Slow Dance on the Killing Ground. His role on The Mod Squad was his first major acting role on television. After the demise of The Mod Squad, Clarence returned to the stage. In 1979 he appeared on Broadway in Night and Day opposite Maggie Smith. In the 1980’s, Williams began to take on streetwise character roles in motion pictures. He played some menacing characters too. One of his best known screen roles is his portrayal of Prince’s abusive father in Purple Rain (1984). Clarence Williams III was married to actress Gloria Foster from 1967 until 1984. After their divorce, they remained friends. When the 67-year-old Foster died of diabetes on September 29, 2001, it was Clarence Williams III who made the announcement of her death. * Clarence III was raised by his musical grandparents. He is the grandson of legendary jazz composer/pianist Clarence Williams. His grandmother was blues singer Eva Taylor. Clarence and Gloria Foster appeared together in the 1964 movie The Cool World. Peggy Lipton was born Margaret Ann Lipton in New York City on August 30, 1946. She is now 64 years old. Peggy was married to music producer Quincy Jones from 1974 until 1990. The couple had two daughters, Kidada Ann Jones (born March 22, 1974) and Rashida Leah Jones (born February 25, 1976). She began her career as a model for the Ford Modeling Agency. Her family moved to Los Angeles in 1964 and by 1965 she had won the role of Joanna in the short lived TV series, The John Forsythe Show. Her character was a student at a private girls’ academy in San Francisco. Peggy was still relatively unknown when she was cast in the role of Julie Barnes in The Mod Squad in 1968. Her performance as the sensitive undercover detective rocketed her to stardom. She earned four Golden Globe nominations and won the 1971 Golden Globe for Best TV Actress in a Drama. Peggy also achieved some success as a singer with the singles “Stoney End” (1968) (later a hit for Barbra Streisand, “Lu” (1970) and the Donovan composition, “Wear Your Love Like Heaven” (1970). All three songs made the Billboard Charts. Lipton was a member of the cast of the David Lynch television series Twin Peaks from 1990 until 1991. She played the role of Norma Jennings, the owner and operator of the Double R Diner. Peggy also portrayed Norma in the 1992 motion picture prequel to the series, Twin Peaks: Fire Walk with Me. It is interesting to note that her Mod Squad co-star, Clarence Williams III, had the recurring part of Roger Hardy on the Twin Peaks TV series. In 2004, Peggy Lipton was diagnosed with colon cancer. She received treatment and is apparently in remission. Her last television acting role was in 2007 as Adam Rhodes’ mom, Fay, in Rules of Engagement. * Peggy’s 35-year old daughter, Rashida Jones, is also an actress. Rashida appeared on Boston Public and joined the cast of The Office in September of 2006, playing the role of Karen Filippelli. In recent years, she has been appearing as a guest star on the series. Rashida is the former girlfriend of actor Toby McGuire. * Peggy’s other daughter, Kidada Jones, 37, is an actress and fashion designer. *Although born to Jewish parents, Peggy practices Hinduism. Tige Andrews passed away on January 27, 2007 at the age of 86. He died of cardiac arrest at his residence in the San Fernando Valley. 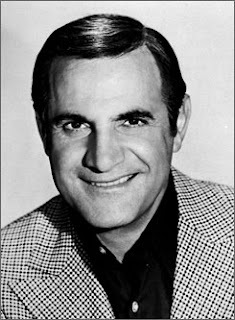 Andrews had a long and successful television career in which he frequently portrayed detectives. A respected character actor who appeared on over 60 shows, he is remembered most for his stint on The Mod Squad. On March 31, 2011, I wrote about Kristy McNichol and why she left her acting career. In my posting, I mentioned Kristy’s castmates on the popular 1970s television series Family, including Sada Thompson who portrayed matriarch Kate Lawrence on the show. Sadly, Sada passed away on May 4 in Danbury, Connecticut at the age of 83. Her daughter, Liza Stewart, said she died of lung disease. Television icon Mary Tyler Moore, 74, is scheduled to have brain surgery to remove a benign tumour called a meningioma. It is not life-threatening and she is expected to make a full recovery. Best wishes, Mary, and get well soon. 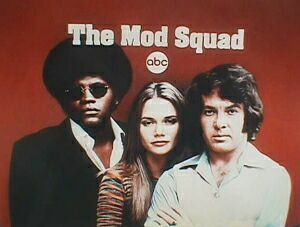 my sister and I used to watch mod squad when we were growing up. its good to watch it again only thing is we are a"little older" now. Yes...he was a main character on the "Mystery Woman" movies. He played the role of Philby. I think you are referring to a series of television movies called "Mystery Woman" that was shown on the Hallmark Channel between 2003 and 2007. "Mystery Woman" starred Kellie Martin as Samantha Kinsey, a bookstore owner who became involved in solving mysteries. Clarence Williams III played a character named Philby on the series. What is Michael Cole doing today? Is he still acting. Would love to see him on TV again soon! And when I watch it I m reliving my teenage days. DAYDREAMER OVER MICHEAL COLE. You can buy the 5 DVD Box set of the mod squad from Amazon. Let me give you some information Facebook has a site called Michael Cole official fan club. Thought I would tell you. Is there any newer updates on the characters of Mod Squad? As a young kid I enjoyed Mod Squad I'm 54 years and still enjoying it! I recently purchased the complete series all 5 seasons. Who played the stunt doubles for Lincoln and Pete? I can tell you that Hollywood stuntman Alan Oliney doubled for Clarence Williams III (Lincoln Hayes). Yes! Finally someone writes aboutt b.